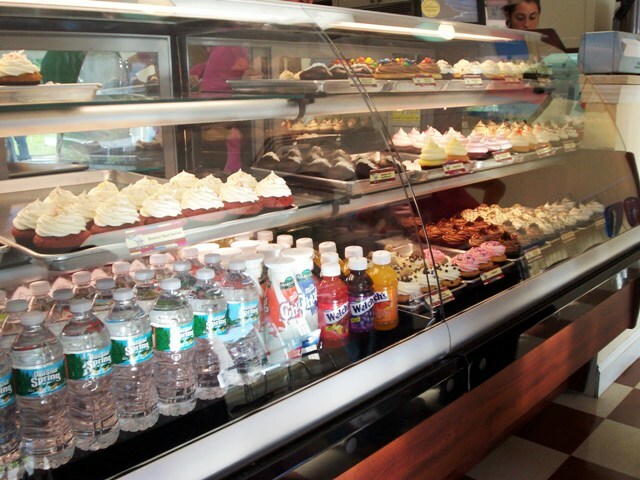 A bakery is a bakery is a bakery, right ? Well, not in this case. Bakeries can be as different as night & day, as we found out recently. It was the day before Laura's birthday that brought us to visit 2 distinct bakeries on the very same day. One bakery was a very modern upscale bake shop that specialized in only 1 product...cupcakes. 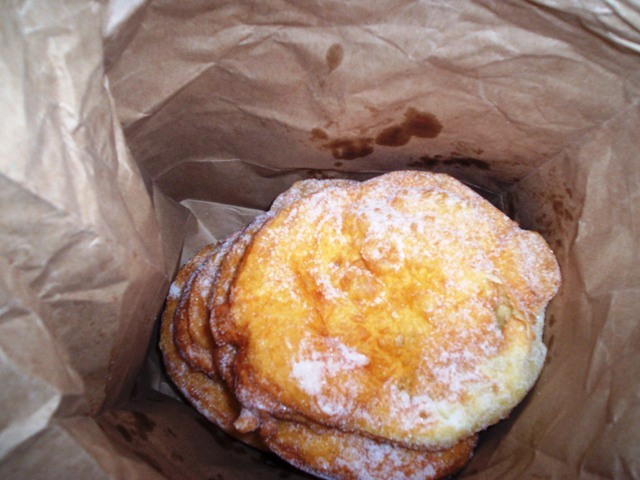 The other was an older well established shop that specialized in Portuguese bread, rolls, pastries and ....malasadas ( Portuguese fried dough ). After taking Laura for a birthday lunch at her favorite restaurant , Sam Diego's ( that girl loves Mexican ), I decided she needed to have dessert ( or at least I did ). Since we had a big ice cream cake waiting for her at home, I figured a nice cupcake was just the thing to top off our lunch. 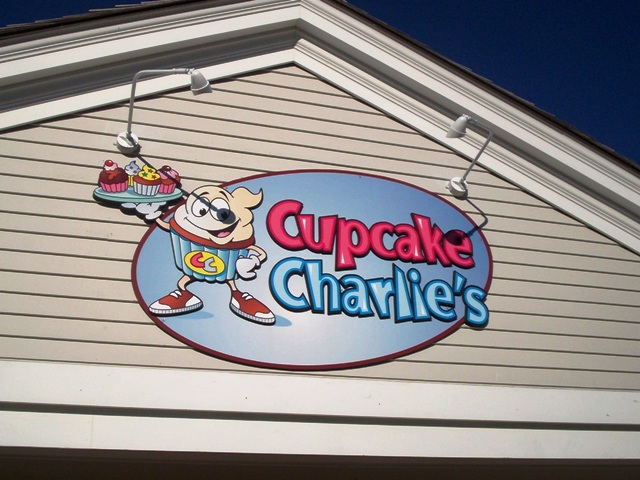 That meant going down to the wharf area in Plymouth and checking out Cupcake Charlie's, which I had spied on our last visit here. It had looked adorable and we soon found out it was. After securing a terrific parking spot close to their walkway, we strolled up and went inside. It was 4 p.m.
Our instincts were right, this place was adorable. Beautifully decorated cupcakes filled the glass case and the aroma was intoxicating. 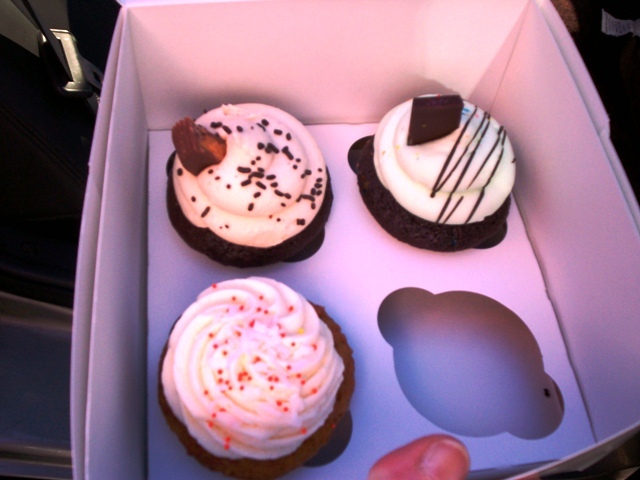 These cupcakes were works of art and the flavors, oh my. There were carrot cake, lemon drop, peanut butter, Oreo, dreamsicle, red velvet, mint and too many others to list here. Please click onto their website above for a complete list of the day's flavors. The prices start at $2.75 per cupcake but they are substantial cakes. They are large with wonderfully placed frosting and several different garnishes. You can see the work that goes into each one. Actually, you really can see the work because they have a big open kitchen where you see nice ladies baking and decorating fresh cakes all day. It's fun to watch them. And the whole place is sparkling, bright and immaculate. When it became my turn to order my head was spinning. How could I possibly decide? They all looked so good. But I finally settled on a chocolate mint and a carrot cake for me and Laura ( we always cut them in half so we can taste both ) and a peanut butter for hubby. THE VERDICT: Delicious, delicious, delicious. They were so moist, fresh and flavorful. All of us loved them. It cost $ 8.77 for our order of 3 cupcakes and it was worth every penny. I will definitely stop in every time I'm in the Plymouth area. 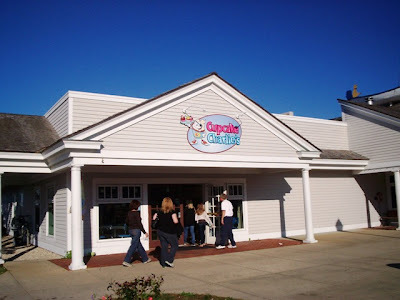 Or, I'll visit their second location in Mashpee, MA. if I'm ever down that way. You should too. Don't forget - Cupcake Charlie's will special order for your next event. The Plymouth location of Cupcake Charlie's is open from 11 a.m. to 6 p.m. Monday through Thursday, 11 a.m. to 9 p.m. Friday and Saturday, and 11 a.m. to 8 p.m. on Sunday. 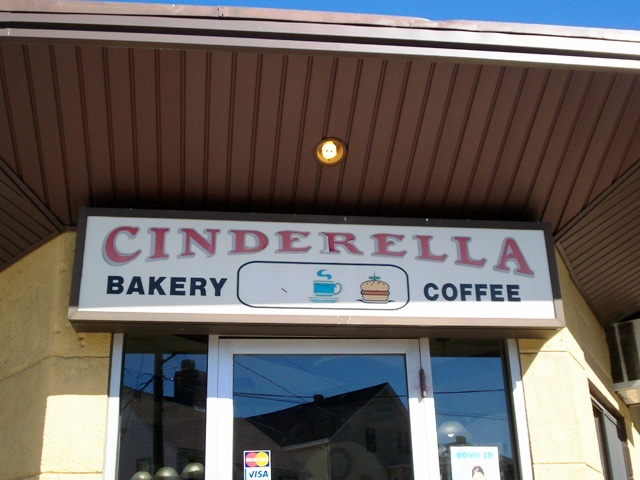 I first went into Cinderella's Bakery a couple of years ago with my niece. She was getting some Portuguese rolls and I had a quick look around the shop while she got her order. I'd always wanted to go back ( and I'd always heard good things ) but since the shop wasn't in my neighborhood I just kinda forgot about it, until recently. My sister-in-law has been going on about how fantastic the malasadas are at Cinderella's. I love malasadas, especially when they are warm and fresh. So I vowed to get down there early enough to grab some ( they sell out pretty quickly ). For those of you who don't know, malasadas are Portuguese fried dough ( or donuts ) and they're big puffy and covered in granulated sugar. They are beyond delicious. So this Saturday I decided I deserved a treat ( after a nasty lab appointment ) and Laura and I thought malasadas were just the thing. But we got there too late (1:45 p.m.). All the sugary little devils were gone. But not a tragedy. Cinderella's cases were filled with lots of other great looking pastries. I had such a hard time deciding but I finally chose 2 pastry shell horns that were filled with boiled cream. We also got 2 bottles of water and it came to a mere: $3.20 for everything. Not bad. We were starved ( I had to fast for my lab work ) and pulled into a parking spot to have our " nosh ". These were delicious. 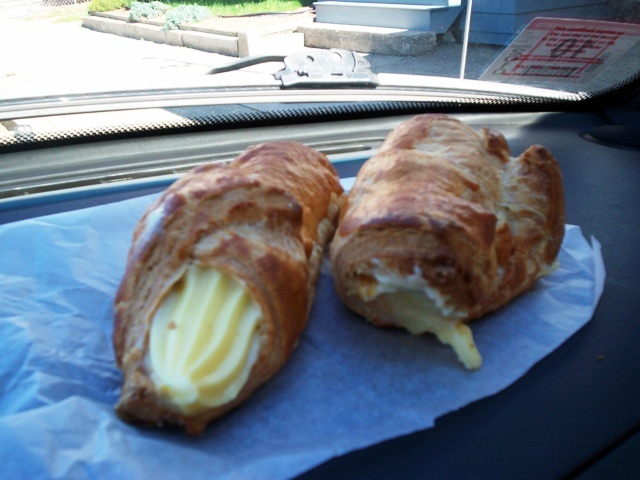 The pastry was fresh and flaky and the boiled cream was thick, rich and just sweet enough. Right then and there I wanted to get more pastries but we had a big birthday cake at home and I figured that was enough. 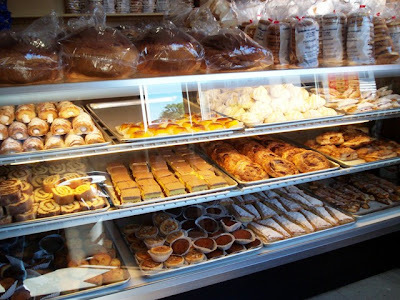 I decided to send Laura back the next morning to get some rolls and a box of breakfast goodies and , oh yes, some malasadas. Couldn't wait. Bright and early the next morning Laura went back to Cinderella's. It was Sunday, 8:45 a.m. and the line was out the door. Poor Laura. But it moved quickly and soon it was Laura's turn. She ordered 6 rolls ( these would be to go with dinner ), 6 malasadas ( yea ! ) 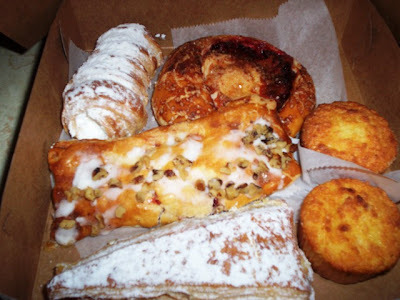 and a box of fantastic looking pastries. These are the kinds of pastries that have no names. You know, you go in and order one of these, and one of these, and one of those, no not these, those. Well, my box contained 2 macaroon-like cupcakes, what looked like an eccles cake ( filled with berries ), a cream filled horn, a triangle with a lemon filling and maybe something more, I forget. 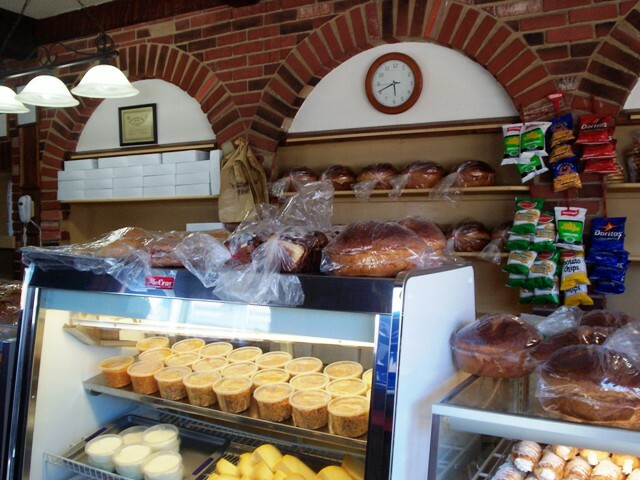 And there were so many more different pastries and breads filling every inch of the small shop. 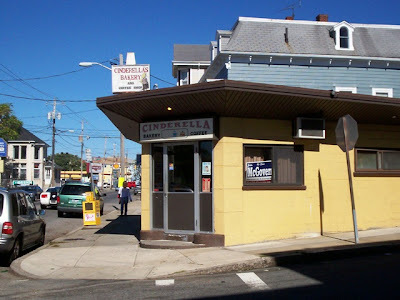 THE VERDICT: It's no accident that Cinderella's has been in business for so many years ( since 1979 ). Everything we bought that day was terrific. The rolls had a crisp outside but a soft inside, the pastries were fresh-baked and the fillings were excellent and those malasadas were everything they were hyped up to be and best of all they weren't greasy. They were soft, tasty, sugary but not greasy. Big plus in my book. And the prices can't be beat. For everything we bought it only cost $9. 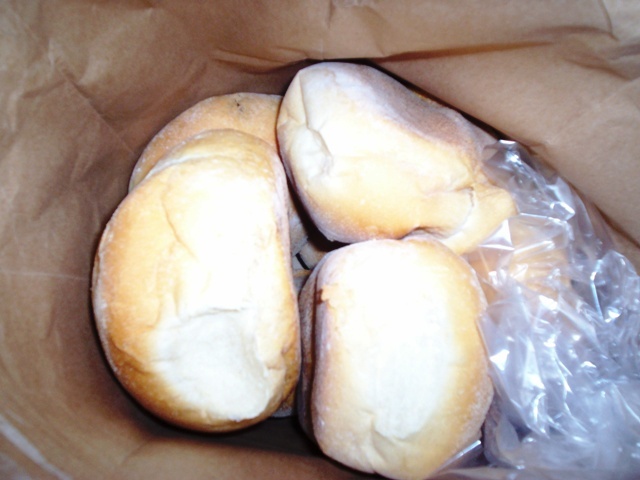 Nine dollars for 6-rolls, 6-malasadas and 6 - pastries. That's a bargain. 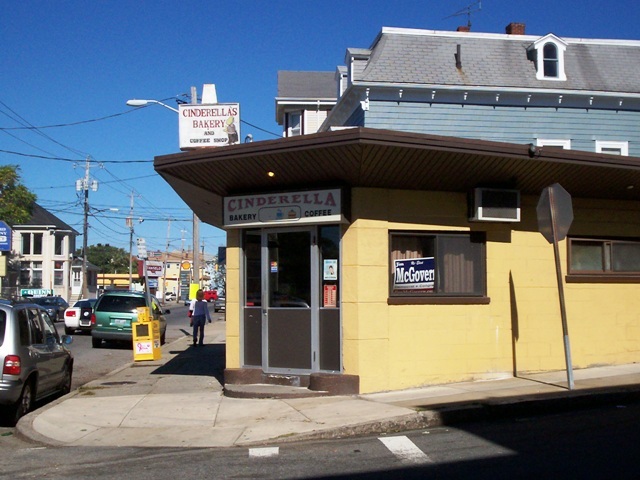 So if you're ever in this neighborhood stop in to Cinderella's or stand at the door and sniff. You'll go in. 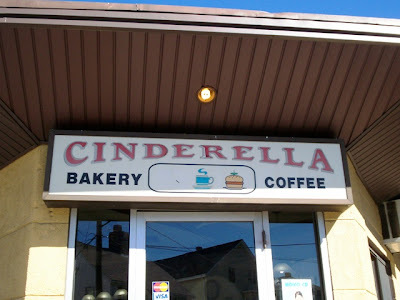 Cinderella's Bakery is open from 5 a.m. to 5 p.m. Monday through Friday, 5 a.m. to 3 p.m. Saturday, and 5 a.m. to 12 p.m. Sunday. 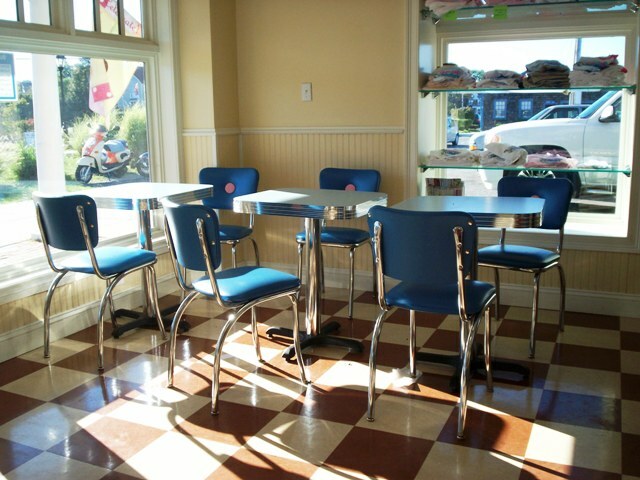 Check out MenuJoy.com for area restaurant menus.